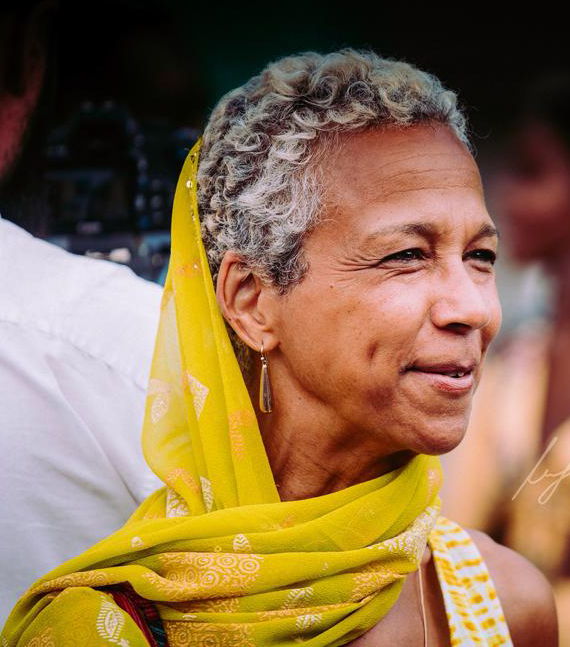 For over three decades Judyie Al-Bilali has been an innovator in the fields of performing arts, arts education and applied theatre. As an actor, director and playwright she has worked off-Broadway and in regional theater nationwide. She taught at NYU's Educational Theatre Program, the MA in Applied Theatre Program at CUNY, Amherst College, Hampshire College and the University of Virginia's Semester at Sea program. She is the recipient of numerous awards including grants from the National Endowment for the Arts, the New York State Council on the Arts, the Kentucky Arts Council, the Jasper Whiting Foundation and the MacDowell Colony. Judyie was a Fulbright Scholar at the University of the Western Cape in Cape Town, South Africa where she created Brown Paper Studio, an applied theatre methodology. Her work is featured in the award winning book Black Acting Methods: A Critical Approach. For the Feeling: Love & Transformation from New York to Cape Town is a memoir about Judyie’s experience teaching in South Africa. She has also written a book of haiku poetry, Halcyon Days.